641-643 London Road, Sheffield, South Yorkshire S2 4HT, UK. 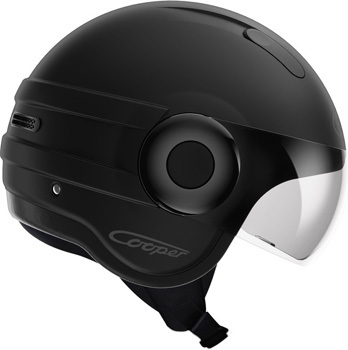 Roof has announced another stylish and innovative helmet, this time a jet/open face style helmet. 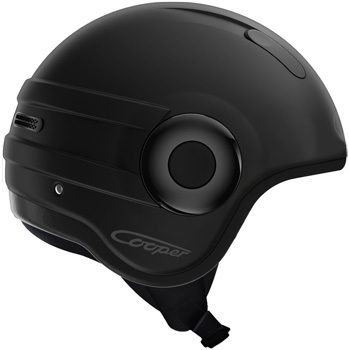 The new helmet is called Cooper, and its innovation is that the sun visor is mounted on top of the helmet - on the outside, in contrast with other helmets, where the sun visor is located inside the helmet. 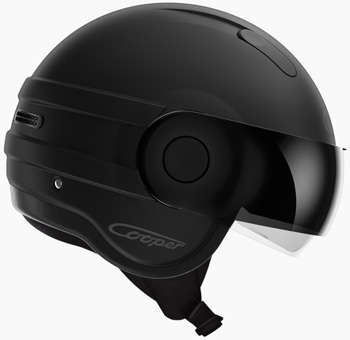 The "normal" visor is located just under the sun visor, giving a stronger reinforcement of the face in the unfortunate case it meets the tarmac unexpectedly. An easy mechanism is in place to lower or rise either of the visors. Copyright © 2019 Manhattan Motorcycles Ltd. All rights reserved.